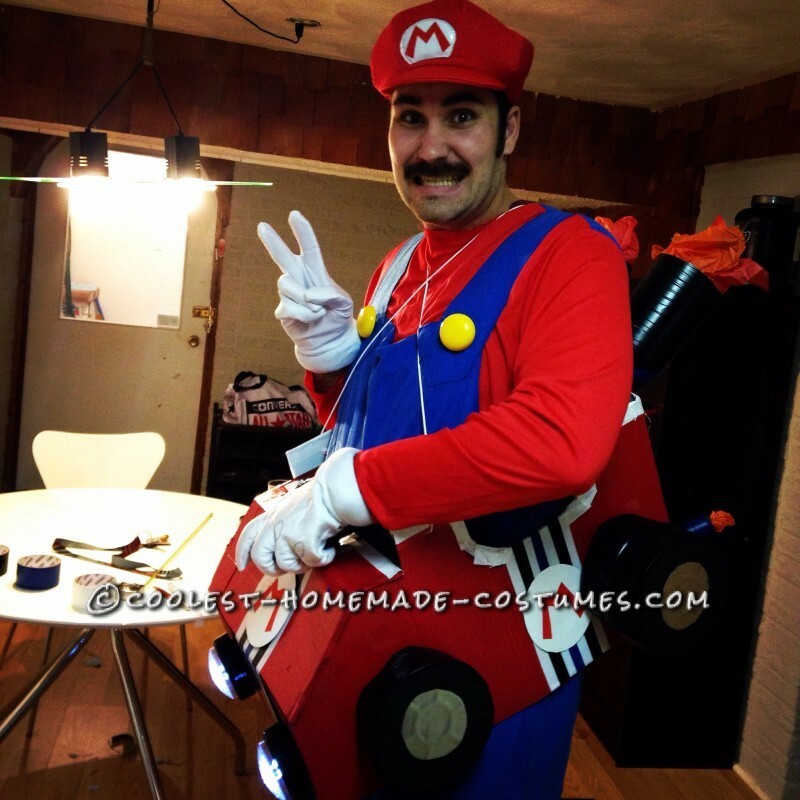 My Mario costume is too simple I need something nice! 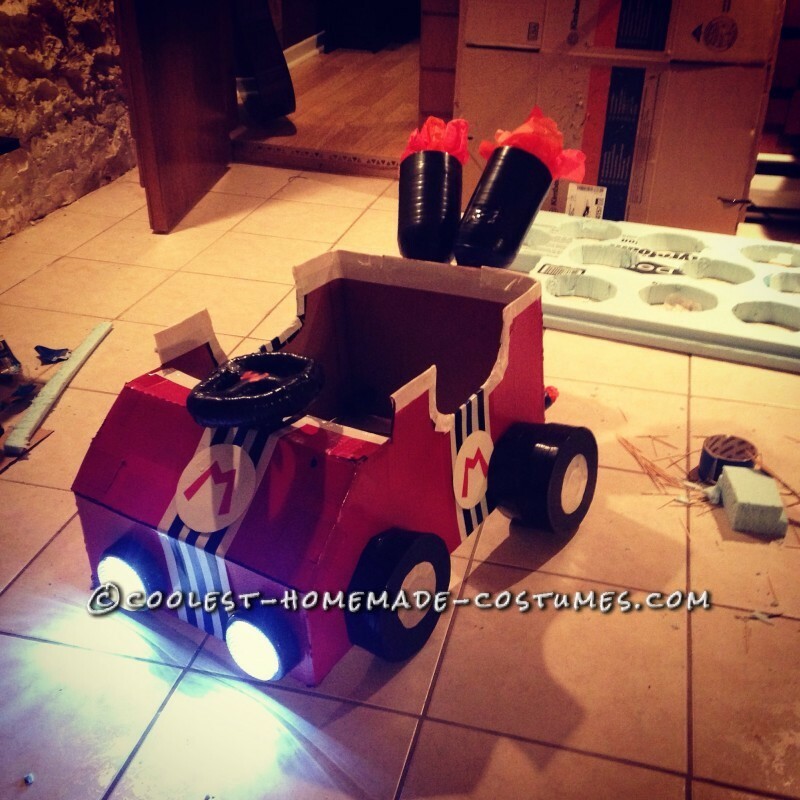 I should totally make a Kart! That is what I said thinking it was going to be simple and easy! But not at all, it is a lot of work and it took me three days. But it was totally worth! The kart was awesome and all my friend found that awesome and I even won the local costume contest. I started my project the Sunday when I needed it for Wednesday. It was tight but I did it. I started by reading a lot of how to make it (that’s how I discovered this site). After writting all my idea I started. First I’m french so sorry for the writing :) That kart cost 40$. Here is the material list! First, I made the shape in a box and I painted it in two layer. With the foam and the black paper i made the wheels and I fixed them with tape and glue. After that I fixed the lights with glue. With the colored duck tape I made the design. With the coke bottle and the gift paper I made the reactor and I finally used the rope to wear it on my shoulders! That is how I made it! Thank you and don’t hesitate for your questions!